Crafted with a unique mix of materials and colours, this midi-dress is an effortless statement piece for the season. 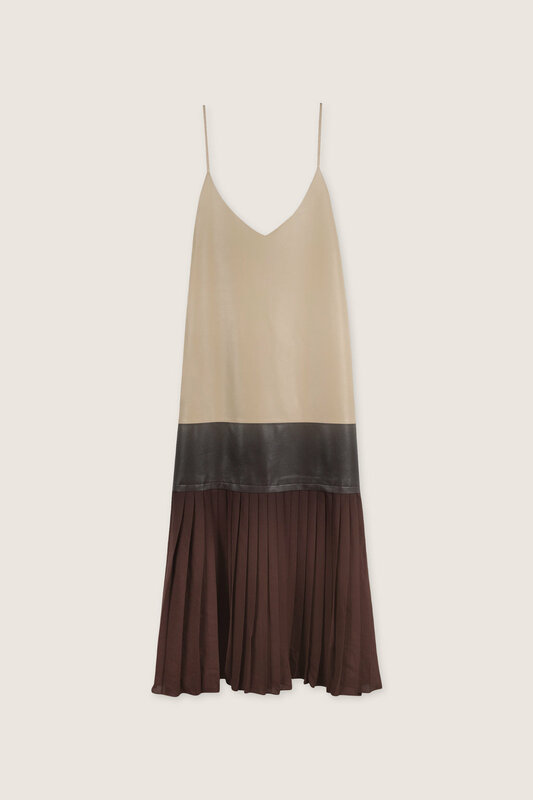 Featuring spaghetti straps and a V-neck, this piece is composed of two contrasting blocks of vegan leather finished off with a plated chiffon-like skirt for a feminine touch. Layer with a turtleneck and pair with heeled ankle boots for an ultra-chic look.